Canon was not allowing people to take sample photos with the new Canon 1D X (but I bet Vincent Laforet already shot a video with it). In fact, all of the 1D X protoypes were bolted down to prevent them from wandering to far. 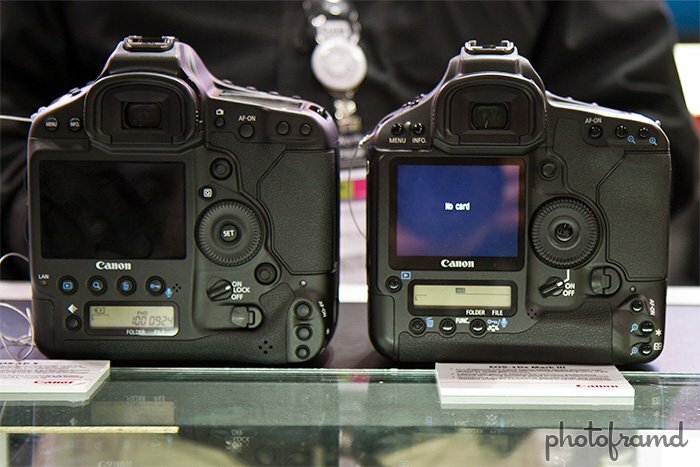 However, I was able to take a photo comparing the new Canon 1D X and the Canon 1Ds Mark III, side-by-side. 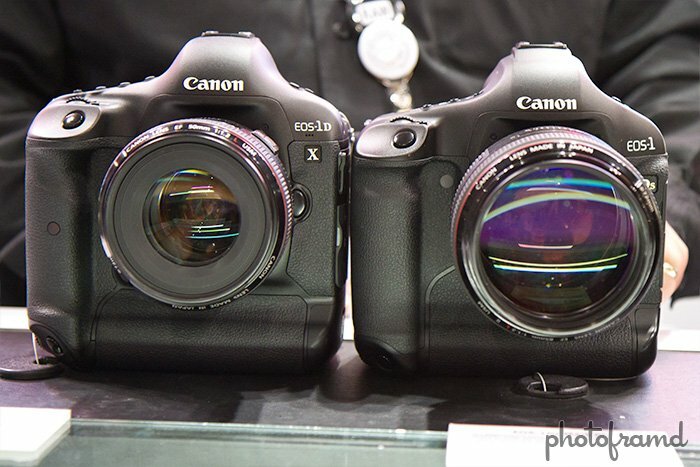 The two cameras are virtually the same size and within 5oz. of each other. But, if you look at the layout of the buttons on the back, you will notice several changes. Next → Next post: PhotoPlus Expo 2011 – Canon 1D X Close-up – All those buttons!